Custom Rx Prescription Pad T-shirt. V-neck in heather gray. 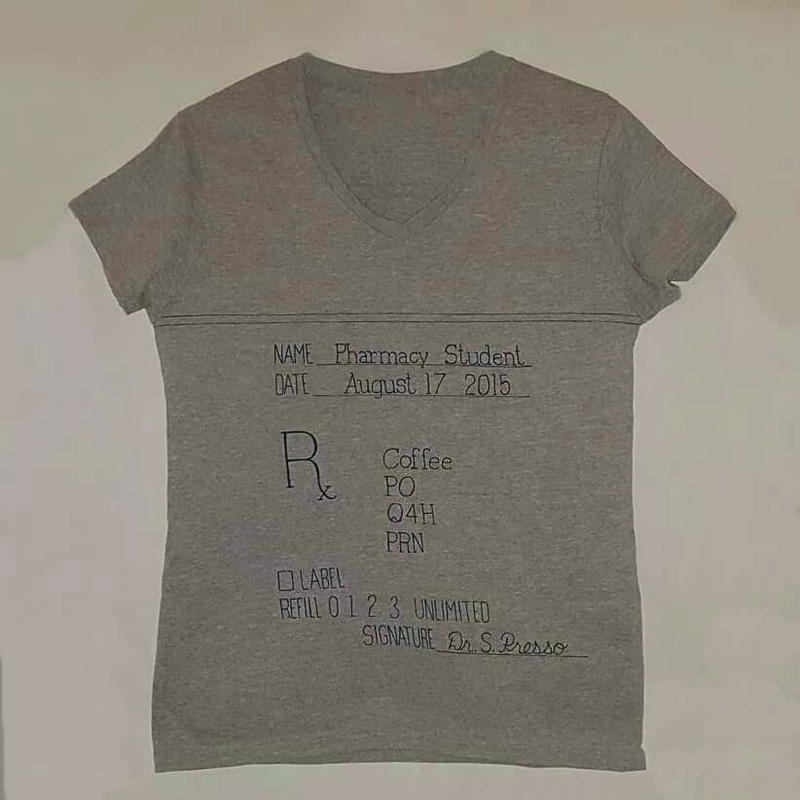 Created just for a special student pharmacist.